It’s easy to discern from photos that Meghan Markle likes to keep her nails short and ever-so-slightly rounded, and if there’s polish on them, it’s a neutral shade. With new information from Us magazine, fans of Markle’s manicure can now go to the very nail salon where Markle gets her signature style: Nails and Brows. According to earlier reporting by People, Markle also goes to Nails and Brows for the “The Audrey Brow” treatment, inspired by Audrey Hepburn. 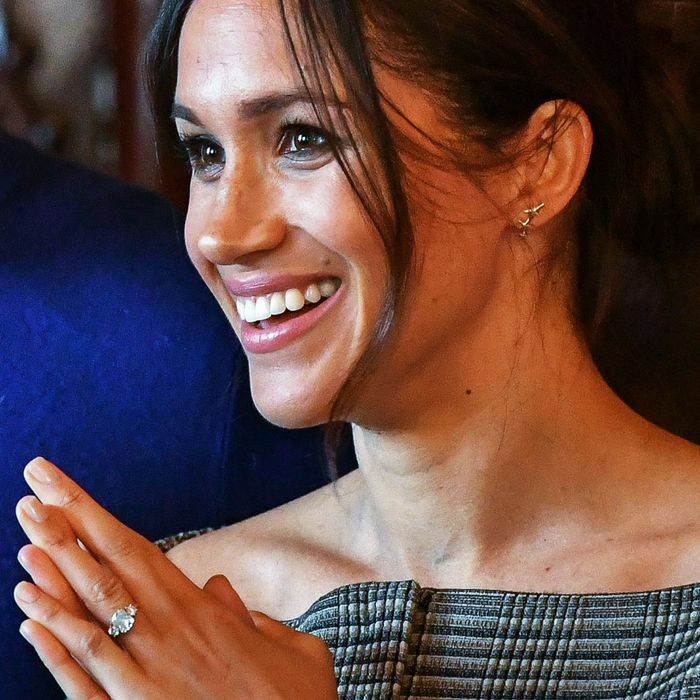 While the salon includes a number of celebs as clients, including Ariana Grande, Halle Berry, and Lady Gaga, it seems they have a soft spot for Markle. We are so in love with this shot of our client #meghanmarkle by @ellefr -this style is right up our street. Isn’t love a wonderful thing...❤️❤️❤️ @cambridges_princeharryupdates and @meghanmarkle show off their love in their beautiful engagement picture.